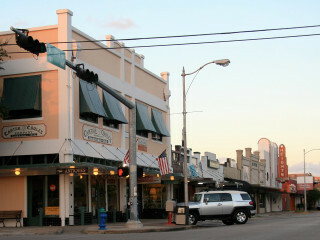 This funky street in the Heights is a shopping hot spot that is still off the radar for a lot of Houstonians. With blocks of little boutiques and antique shops you could easily refurbish your house and obtain an entirely new wardrobe in one day. There is Jubilee for the bohemian temptress and Retropolis for those looking for a throwback to another other time and place. The 19th Street Shopping District is sprinkled with cool cafes where you can chill between purchases—we like relaxing over a glass of wine and appetizers at Shade.